At the conclusion of each match, Panel Field and Club Field Umpires are to complete the Umpire’s Match Report via the Perth Football League APP. It is the responsibility of the home team to provide an iPad or other device for the umpire to complete. Notwithstanding this, umpires are encouraged to download the Perth Football League APP from iTunes or Google Play onto their own device. Panel Field and Club Field Umpires are required to use their personal log in to the Perth Football League APP - Umpire’s Match Report. 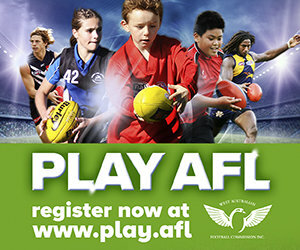 To obtain a log in, please contact Ashlea Renshaw – WAAFL Football Operations Co-ordinator – arenshaw@wafc.com.au or 9287 5595.